It seems like most of the population is carrying a mobile device with them these days, whether it is a phone, a tablet or a laptop, and you can see the changes it’s made in society on a daily basis. People are walking down the streets sporting earbuds, Bluetooth headphones and earbuds, headphones and yes, even headsets. The audio quality of your particular cans is now balanced by style, and some headsets range up to $2000. At this point you are probably paying more for the name than the quality. Razer’s forte has always been gaming, and they have done that well and become a world leader in gaming devices. Their products have proven to be so deadly to your virtual foes, that the minute you get hands on one you’re a lifetime member of “The Cult Of Razer”. 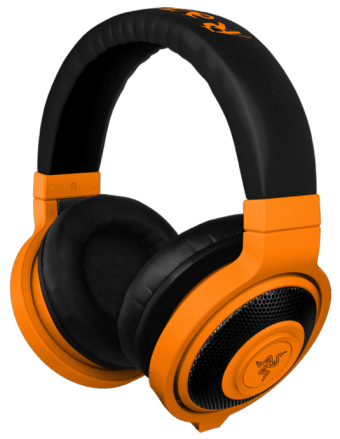 Now Razer is branching out into the audio field for mobile devices, and have produced the Razer Kraken Mobile. The Kraken Mobile is aimed at Apple IOS users, but has thoughtfully designed adapters for Android, and we’ll be jamming to the Android version of the Kraken Mobile in two shell shocking, almost “Nuclear Neon” colors. 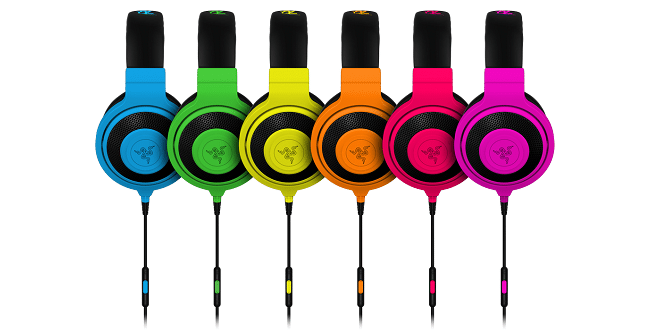 Available in six eye-popping, attention grabbing colors, the Razer Kraken Mobile is designed to be lightweight, but rugged. The headset shows that, but is a bit on the heavy side of mobile headsets. Utilizing two large drivers with 40 mm neodymium magnets and frequency response in the 20 – 20,000 Hz range, people at the end of the street will turn and walk your way just to find out whose set of cans you’re jamming to. Just a note, whether for IOS or Android, the functionality of the headset and IOS or Android wires are the same. The only difference being one wire fits Apple devices, and one fits Android devices, but both cords provide the same functionality. 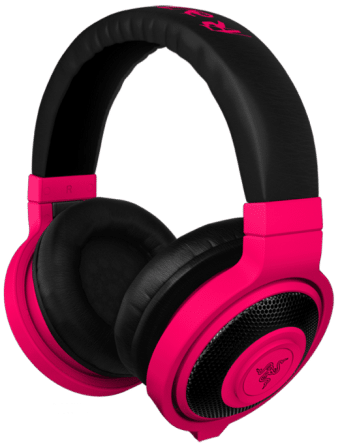 The Razer Kraken Mobile provides high quality crystal clear sound for a fraction of the price of celebrity branded headsets and the Nuclear Neon Colors turn heads where ever you go.